Mr Menon is one of the senior Directors in an organization. Though he is in charge of Human Resource Management, his subordinates say that he seems to be one of the most inhuman officers. Menon has given strict instructions to everyone such that nobody is allowed to meet him without a prior appointment through his secretary. Further, the secretary has been told to deny appointments in the first instance. Only if people persist and beg for a meeting will they be given a slot, which is also not immediate. He basically wants people to believe that he is very busy and does not wish to encourage walk-in visitors. One Division Head, who had recently joined the organization, faced a serious HR issue within his division and wanted to personally meet the Managing Director to brief him. 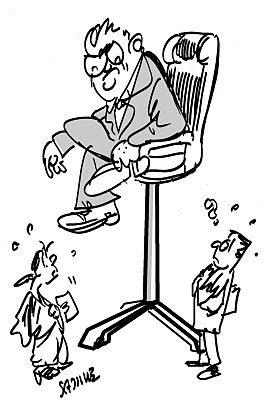 As he used to in his previous organization, he called up the Managing Director - who is just one level above him - and requested for a meeting. The Managing Director got annoyed and said, ‘Contact my secretary if you want to get a meeting fixed with me.’ The response was shocking for the senior manager. 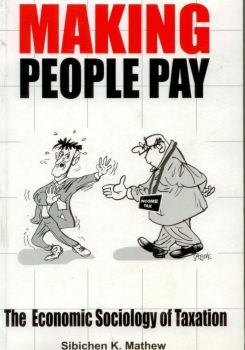 He told his colleague, ‘This is the first time in my 15 years of working that I have been so rudely treated by a boss. I don’t think I will be able to work under such bosses.’ After joining the new organization with a lot of motivation and eagerness to bring in innovations, the Division Head felt disappointed and almost felt like quitting. Unapproachable bosses tend to keep a distance from their subordinates and often fail to understand the people around them. They wear the garb of a ‘serious’ taskmaster. Their juniors might fear them and hold back on giving them honest feedback. There can also be overall dissatisfaction in their teams. We are used to hearing this phrase: ‘Content is the king; conversation is the queen’. Boris Groysberg and Michael Slind say that leadership is a conversation . They conducted a research project on the state of organizational communication in the 21st century and found that smart leaders engage with employees in a way that resembles an ordinary ‘person to person’ conversation, rather than through one-sided commands. They identified four elements of organizational conversation that reflect the key attributes of interpersonal conversation: intimacy, interactivity, inclusion and intentionality. Robert Greene, in his 16th Law of power, advises that if you ‘make yourself too available then the aura of power you have created around yourself will wear away. Turn the game around: make yourself less accessible and you increase the value of your presence.’ However, in the post-globalized world where changes happen rapidly, decisions need to be taken every moment and the team needs to be motivated and directed to new areas for the survival of the organization, no leader can afford to play the game of hide and seek. Thus, an absence like this would not create respect and esteem. Boyatzis and Annie wrote:‘Mindfulness, hope and compassion are the three key elements for resonant leadership.’ Being present and being respected is the new ball game. The belief that ‘familiarity breeds contempt’ is passé. Here is an example of a senior officer at a large public organization of about 10000 officers and 50000 staff who holds the most important position with highly sensitive and demanding tasks. She is responsible for reporting to the highest functionaries in the government, including a Cabinet Minister. Every minute of hers is valuable. She hardly gets time at home because of the pressure of official tasks. However, the first thing she did as soon as she was elevated to the post was to send out a letter across the organization, welcoming anyone with an unsettled grievance to meet with her or send their messages or grievances at an exclusive email id monitored by her personally. . Further, she informed everyone that they could call her directly between 10 to 11 am on all working days. She strongly believes that every official is an asset and the output and overall success of the organization depends on their happiness. An unapproachable boss doesn’t earn the respect of people around him. He does not get real feedback about the organization as he fails to be receptive to people. Thus, the ultimate loser is the organization itself. It is imperative that those with excellent communication and management skills are the ones who are appointed to the top levels in any organization. Training in soft skills is also as important at the top levels as in the lower ones. Though there may be criticism that it is wasteful to ‘apply manure at the fag end’, it is necessary to do so in many organizations, especially those where top leadership positions are filled up solely on the basis of seniority. The boss needs to have an understanding of the backgrounds of his team members. If the span of control is large, the boss should have ready access to each employee’s profile, which contains their family details, leave history, relevant medical history, recent career profile, etc. The attitude, temperament, behaviour and visible expressions of the boss should be such that no one would hesitate to approach him with an issue. No one likes a boss who is lethargic, sluggish and too matter of fact. Bosses should have the ability to make the other person comfortable and forthcoming with ideas and opinions. His overall body language should be oriented towards those who come to converse with him. Who would like to interact with a person who has a disinterested air about him? The boss should be mobile. That doesn’t mean that he should not spend time in his cabin; but he should be available for people to see him with regularity. If he is frequently away on travel or spends most of his time only with his boss or colleagues, it would affect smooth upward communication. Question to you: Do you have a boss like this? Introspection for you: Are you one such boss?? 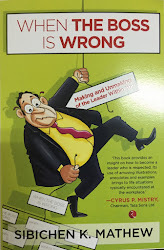 The above article is substantially drawn from author’s best-selling book ‘When the Boss is Wrong: The Making and Unmaking of the Leader within You’, which is available in most online and offline bookstores. Grab a copy to know about how bad bosses kill employee morale.